Need a whole lotta light? The Basecamp is our extra-long, extra-bright Luminoodle packing 1,000 lumens of waterproof light out of a 20 foot light string. It's ultra-bright, easy to hang, and is customizable with 15 different colors of light to choose from. Use the Basecamp lighting system on your patio, in your backyard or on your next camping trip to keep the party going well past sunset. With the included ties, mounting brackets and utility loop, the Luminoodle Basecamp is easy to hang wherever you need it. 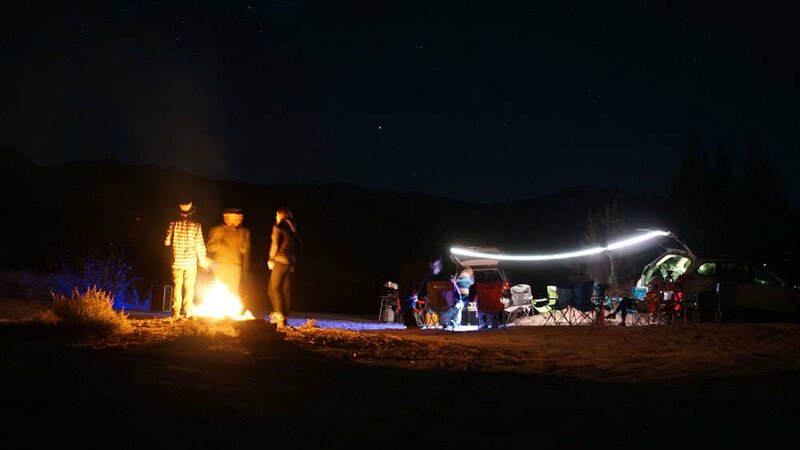 Powered by any wall outlet, 12V car socket, or the optional Pronto 12V battery pack, the Basecamp is an easy, hands-free outdoor lighting solution. Choose from 15 colors and 10 brightness settingsto create the perfect ambiance. Take it to another level with the dynamic fade setting. Use the simple and intuitive 3-button controller and wireless remote to choose from over 500 color and brightness combinations. 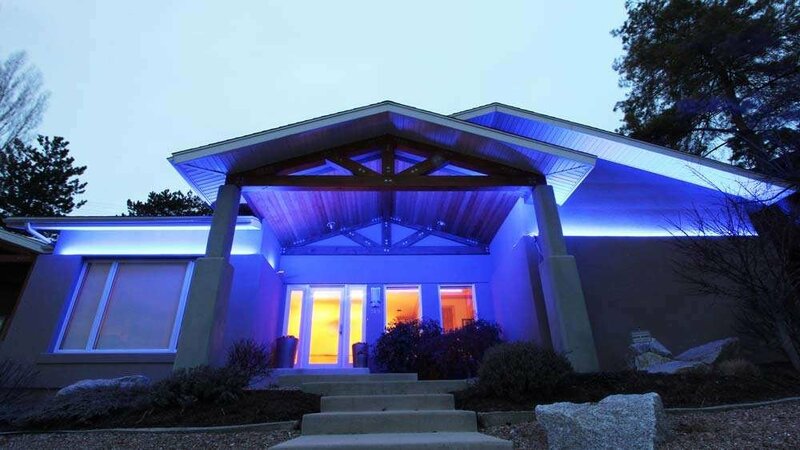 With easy mounting applications, this is your go-to simple outdoor home lighting solution. Whether you're illuminating your patio, yard or garage, the Basecamp has you covered. Hook, hang, or strap the Basecamp at your campsite. Use the Pronto 12V Battery or the included 12V car adapter to provide reliable ambient lighting to your camp kitchen and more.